At end of turn, if no creatures are in play, sacrifice Withering Wisps. 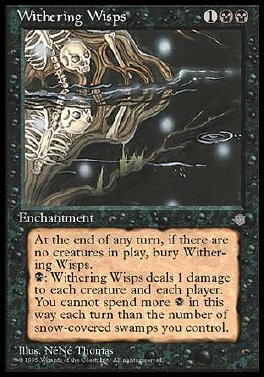 B: Withering Wisps deals 1 damage to each creature and each player. Spend no more B this way each turn than the number of snow Swamps you control.